I use several of these puppies around my brewery and more. 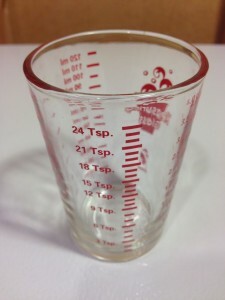 I’ve used them for general measuring and as beer taster glasses. 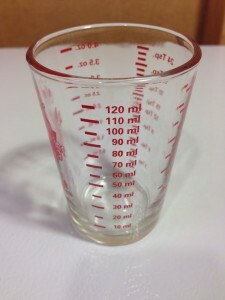 I’ve also used them for espresso shots in coordination with my Rancilio Silvia Espresso Machine. 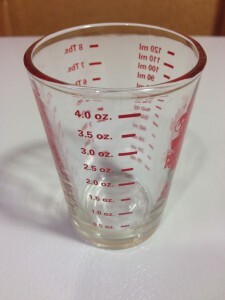 Sometimes these sorts of measuring devices are to be considered… ballpark. 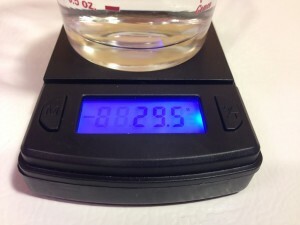 This photo shows 29.5 grams of water. 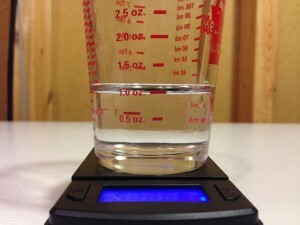 29.57 grams equals one fluid ounce of water. 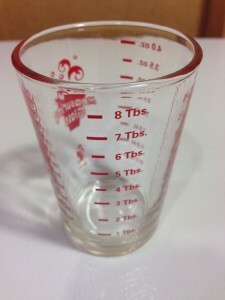 Within the limitations of this scale – Fast Weight MS-500-BLK – (1/10th gram)… this measuring glass is right on. In a tasting paddle that I have. One problem that any glass can have is markings washing off. I haven’t had that problem (for over a year now) and I’ve put these guys through some arguably rough treatment. As mentioned previously, one of the things I use these for is espresso. When used for that, these get near boiling liquid poured in them. The measurement marks still look like new. I will say that I’ve never put these in my dishwasher. 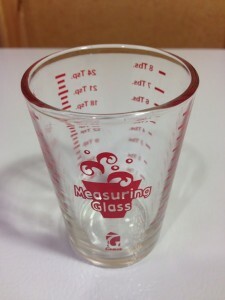 These are rugged, accurate and versatile measuring glasses. 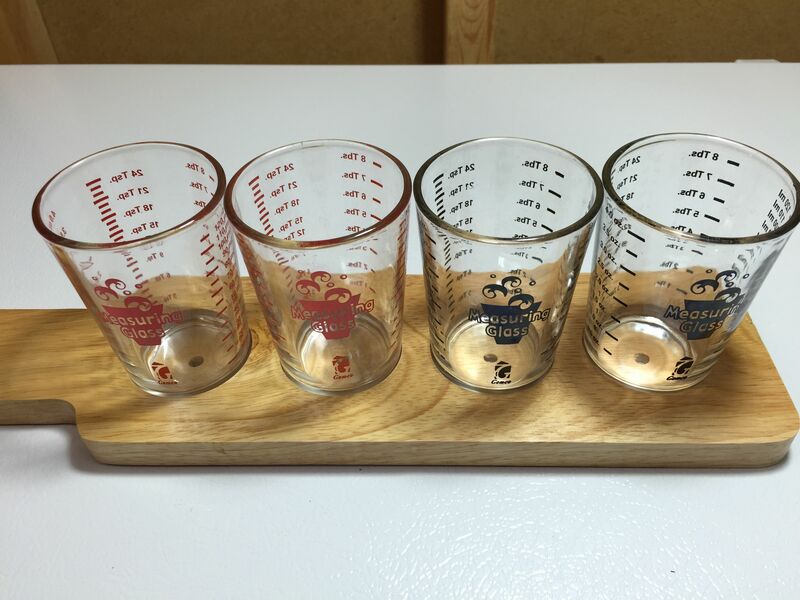 This entry was posted in Amazon, Drinkware, Featured Reviews, HBF Tested, Measuring, Reviews, Reviews & Top Posts, Tasting on January 23, 2014 by admin. 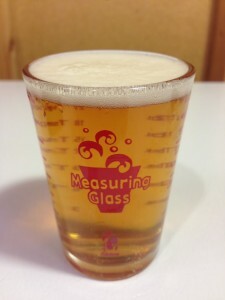 Is the glass made in the USA? Dishwasher is probably the source of the writing coming off. Happens to pint glasses at my house on occasion. The chemicals in dishwasher detergent are really harsh.